Did you know that almost 50 percent of all HVAC systems are installed incorrectly? 1 This can prevent even high-efficiency equipment from operating correctly. It could lead to reduced energy savings and more discomfort for customers. The new Energy Star program focuses on duct sealing. The goal is maximum home energy efficiency. The program focuses on proper installation practices rather than just the appliances. Duct sealing and are high on a technician’s checklist. HVAC professionals interested in becoming ESVI-certified contractors, must certify their business operates in the service territory of an ESVI sponsor partner, such as a local utility company. Then, contractors are required to sign an Online Logo Use Agreement with the EPA. The agency will review applications within three business days to confirm the contractor’s enrollment in the ESVI program. Unless it’s properly installed, even the most energy-efficient HVAC equipment can’t perform at maximum levels and give customers the energy savings they expect. 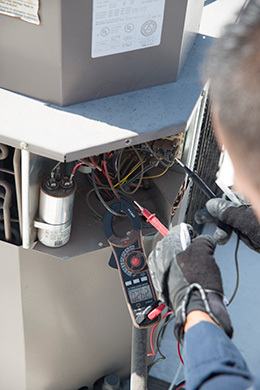 The ESVI program ensures that customers receive the comfort and efficiency their HVAC systems were built to provide. It’s an option once you finish your HVAC classes and are out working in the field. Get the latest news on the HVAC/R and Welding industries! Subscribe to our blog below. Get the latest updates on the The Refrigeration School, as well as, the latest news in the HVAC/R and Welding industries! Subscribe to our blog via the form to the right.